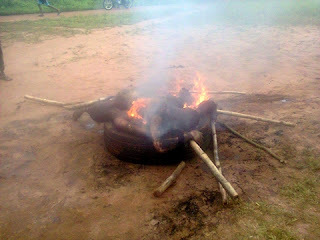 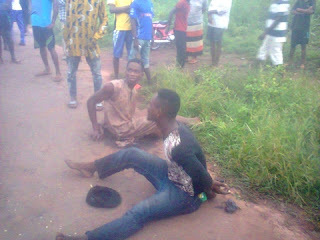 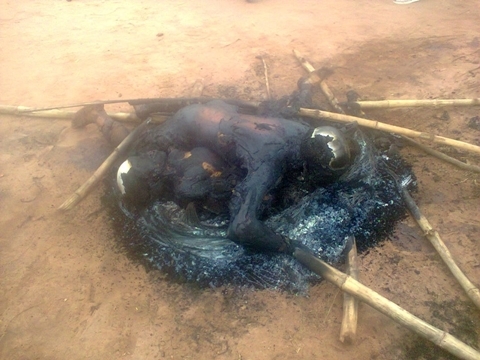 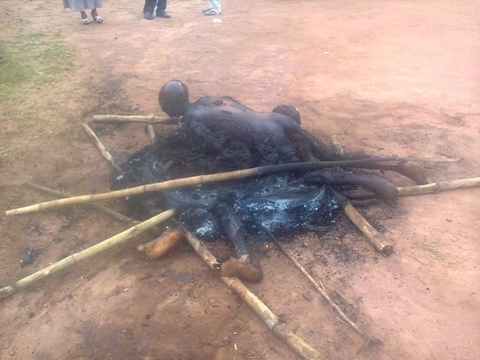 In yet another shocking news of jungle justice, two young men were caught, stripped n*ked, lynched and set ablaze by residents of a community in Imo state. A Facebook user identified as Amaefule Emmanuel, has taken to the social networking platform to share some disturbing photos and the story of two robbers were caught by local residents, stripped unclad, lunched and burnt to death in a community in Imo state. 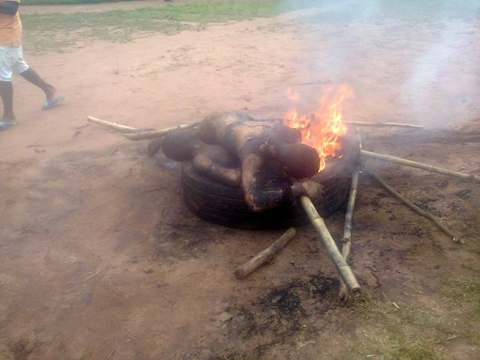 "7:45:AM, 04/06/2017 Out of anger this young men was killed by villages because of what is happening in our community, we all knows that country is hard but we should not involve in this kind of act called criminal it can damage your image, anyway the wages of sin is dt...God have mercy on them."